7.30-9.30pm Friday 17 November 2017 – Inside Syria with author and Middle East specialist Diana Darke. 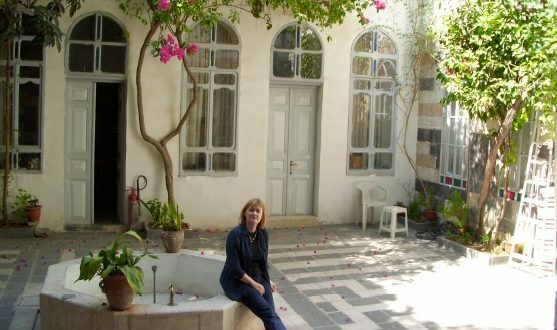 Diana Darke, Middle East specialist and author of My House in Damascus, bought a crumbling house in the old city of Damascus in 2005. Later it became a sanctuary to friends until it was stolen during the war. Diana offers an inside view of Syria: its culture and complex religious and ethnic communities. She has recently presented ‘Culture in Crisis:at home in Syria’ with artist Zahed Tajeddin at the V&A in London, giving a first-hand insight into how people save and protect cultural heritage sites within war-zone areas today. 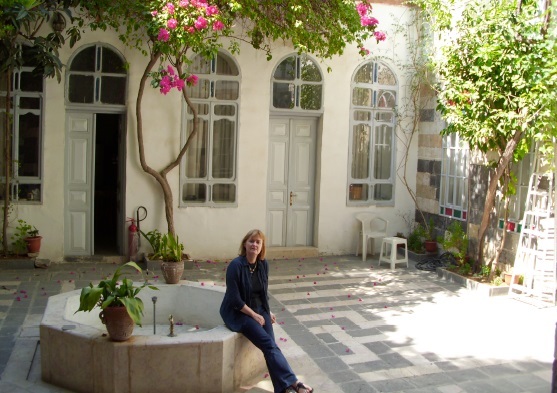 Zahed is the Syrian architect who worked with Diana to restore her historic courtyard house in Damascus. The author is giving her time free, all proceeds go to Christian Aid Syrian Crisis Appeal. It is suggested that audience members give a minimum of £10 donation at the door. You can register for this event on Eventbrite.